WASHINGTON (Reuters) – The United States is expected to designate Iran’s elite Revolutionary Guards Corps a foreign terrorist organization, three U.S. officials told Reuters, marking the first time Washington has formally labeled another country’s military a terrorist group. 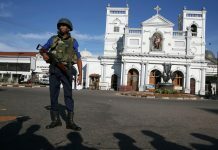 The decision, which critics warn could open U.S. military and intelligence officials to similar actions by unfriendly governments abroad, is expected to be announced by the U.S. State Department, perhaps as early as Monday, the officials said. It has been rumored for years. The Pentagon declined comment and referred queries to the State Department. The State Department and White House also declined to comment. The Iranian mission to the United Nations did not immediately respond to a request for comment. U.S. Secretary of State Mike Pompeo, a strident Iran hawk, has advocated for the change in U.S. policy as part of the Trump administration’s tough posture toward Tehran. 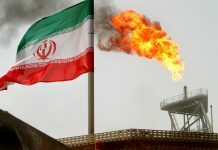 The announcement would come ahead of the first anniversary of President Donald Trump’s decision to pull out of a 2015 nuclear deal with Tehran and to reimpose sanctions that had crippled Iran’s economy. The administration’s decision to make the designation was first reported by the Wall Street Journal. Iran has warned of a “crushing” response should the United States go ahead with the designation. Such threats are particularly ominous for U.S. forces in places such as Iraq, where Iran-aligned Shi’ite militia are located in close proximity to U.S. troops. Republican Senator Ben Sasse said the move would be an important step in America’s maximum pressure campaign against Tehran. “A formal designation and its consequences may be new, but these IRGC butchers have been terrorists for a long time,” Sasse said in a statement. Former Under-Secretary of State and lead Iran negotiator, Wendy Sherman, said she worried about implications for U.S. forces. Set up after the 1979 Islamic Revolution to protect the Shi’ite clerical ruling system, the IRGC is Iran’s most powerful security organization. It has control over large sectors of the Iranian economy and has a huge influence in its political system. The IRGC is in charge of Iran’s ballistic missiles and nuclear programs. Tehran has warned that it has missiles with a range of up to 2,000 km (1,242 miles), putting Israel and U.S. military bases in the region within reach. EDITORS’ NOTE: Reuters and other foreign media are subject to Iranian restrictions on their ability to report, film or take pictures in Tehran. The IRGC has an estimated 125,000-strong military with army, navy and air units and answers to Supreme Leader Ayatollah Ali Khamenei. 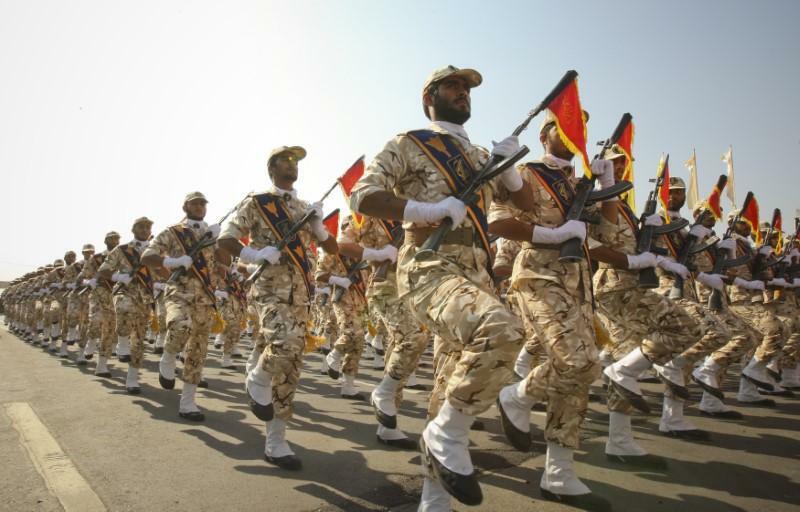 It is unclear what impact the U.S. designation of the IRGC as a terrorist organization might have on America’s activities in countries that have ties with Tehran, including in Iraq. Baghdad has deep cultural and economic ties with Iran and Oman, where the United States recently clinched a strategic ports deal.